The Move tool allows you to move the contents of the current layer. These are options for how the image data will respond when pushed off the edge. The default is that it will be cropped however it can be wrapped to the other side. Wrapping is useful when the image is a seamless pattern. 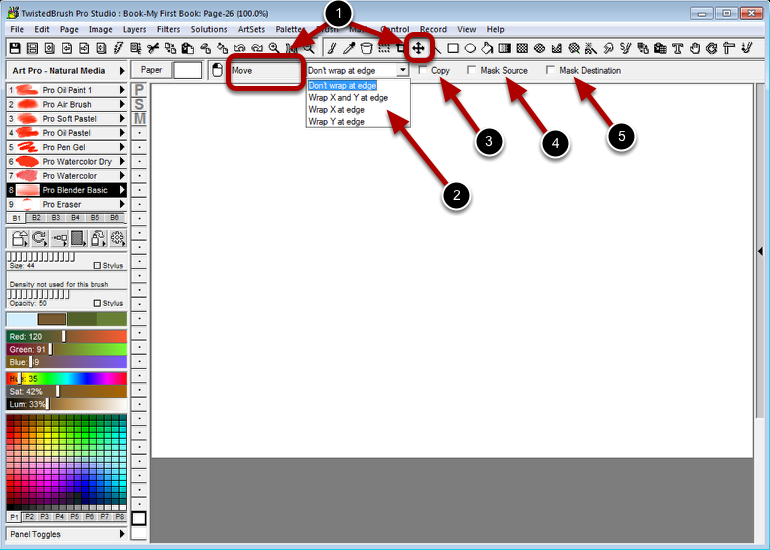 The Copy option will make a copy of the layer data and move that rather than the original image. The Mask Source option will filter the image through any mask that is currently set. The Mask Destination option will filter (or block) the image data from being placed in masked areas.